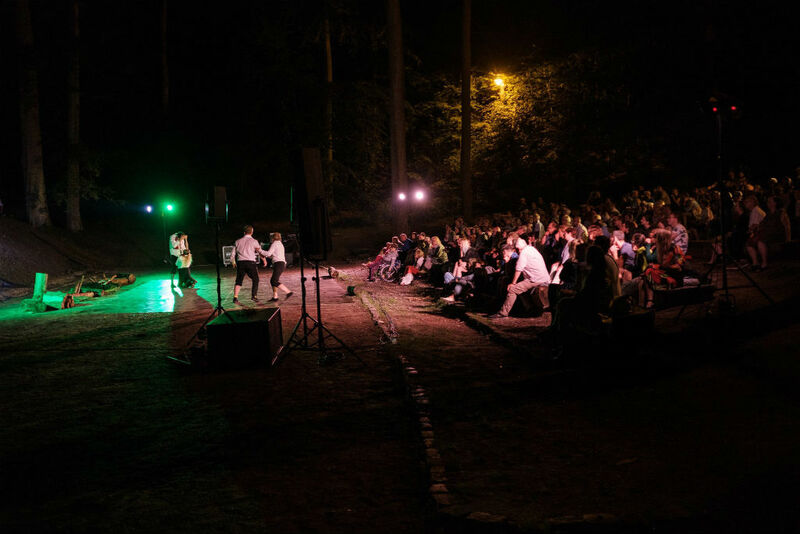 This was the only performance of the main Shakespeare Festival (as against the secondary events grouped under the title Szekspiroff) that was not hosted by the Teatr Szekspirowski, but by the Teatr Leśny – an open air theatre improvised in a beautiful grove, with logs as seats. 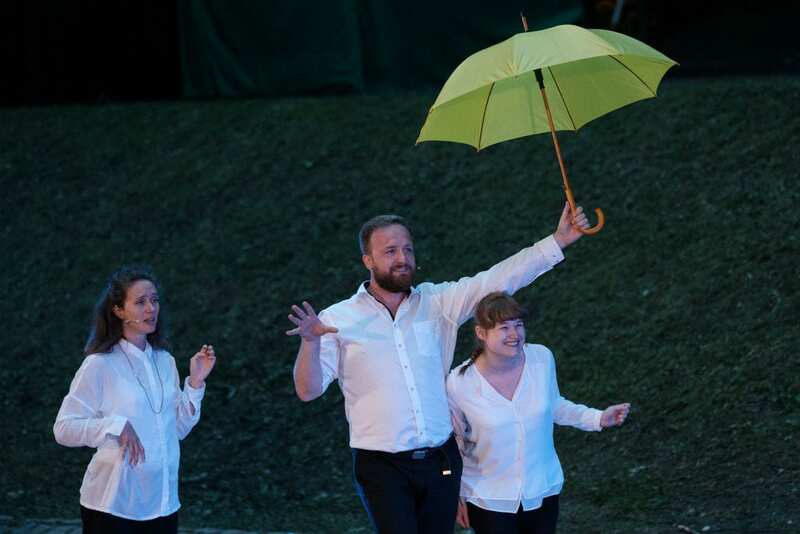 The project “Szekspir w parku” (“Shakespeare in the Park”) was initiated with As You Like It in July in Warsaw and meant to offer valuable performances free of charge, accessible to all the residents of the city regardless of their age, social or financial status. But as I got to the Leśny, I was in for a great surprise. Most of the performances had been conceived with overtitle translations for the international audience, and only one (the Croatian Hamlet) had been performed with simultaneous translation through headsets. 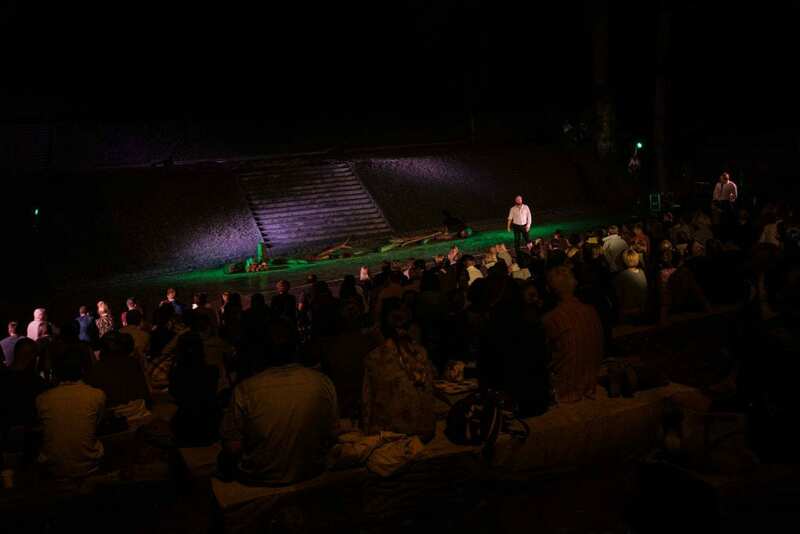 But As You Like It offered no translation whatsoever on account of the fact that it was staged in a park and the technical equipment did not allow for any such solution. And this was an entirely traditional production, relying on no visual or kinetic effects, with almost three hours of text in… Polish! Therefore I have no way of commenting on the translation/adaptation of the text, on its humour, or any verbal elements. This was the closest thing to an Elizabethan Shakespeare production in the festival. There are no sets, nature providing the scenography, completed by some added chopped wood. The props are kept to a minimum. 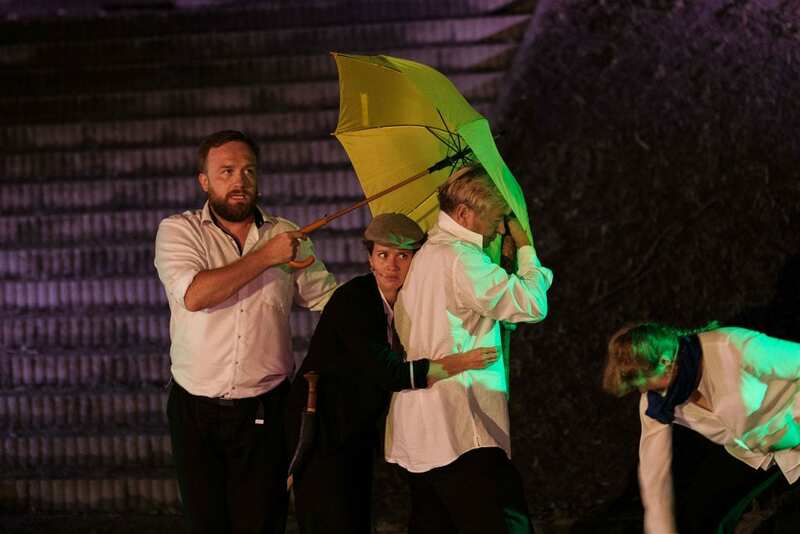 All the characters, men and women, wear black trousers and white shirts, with the exception of Touchstone, the court fool, who – in order to conform to the tradition of the jester’s costume – has one long trouser leg and one knee-high, also being the only splash of colour on stage through his yellow socks and umbrella. On the other hand, Charles, the duke’s daunting wrestler, is humorously padded with a six-pack abdomen and arm muscles. Rosalind’s travesty and Celia’s disguise, however, are entirely conventional, and nothing is done to change their physical appearance, thus stressing the implausibility of the plot. The production focuses on the text, on character and on interaction. The blend and balance between the actors’ voices is well conceived and pleasant. As far as I could count, there are only five stage lights – four lateral and one frontal. The lateral ones sometimes change to red, blue or green, suggesting sunsets or moonlight rather than states of mind, atmosphere or feelings. Throughout the performance there are a few songs accompanied by guitar and strings, but the singing is far from good. There is one bewildering oversight in the staging, which was meant for parks from the very beginning. In the play, love-smitten Orlando hangs his painfully bad poems on trees. This would have been the only natural advantage of the setting, which provides so many trees in the grove, but the director decided not to make use of any! Interpretation-wise, Hanna Konarowska is sweet and sparkling as Rosalind, while Bartłomiej Kasprzykowski (Touchstone) has a natural charm that wins the audience. It is difficult to watch a play whose text you know in the original, but whose translation you do not understand at all. But watching the performance I had the impression that I would have enjoyed the delivering of the text if I had understood it. Critic Andrzej Saramonowicz wrote: “actors conjure up theatre that is so organic (…) that at times I had the impression that I had been transported to the Globe Theatre.” The assertion might be overly enthusiastic, but, even if there is nothing original or groundbreaking about this production, it certainly makes for good and entertaining theatre. 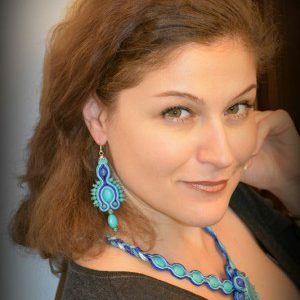 Alina Bottez is a Romanian opera soprano pursuing a performing career, as well as a teacher and researcher. She has studied English and French at the University of Bucharest and Singing at the National University of Music in Bucharest and now she teaches both British literature and singing. Acting and the theatre, in general, are her passion, while her main area of research is Shakespeare’s adaptation into music, which was the topic of her doctoral thesis.